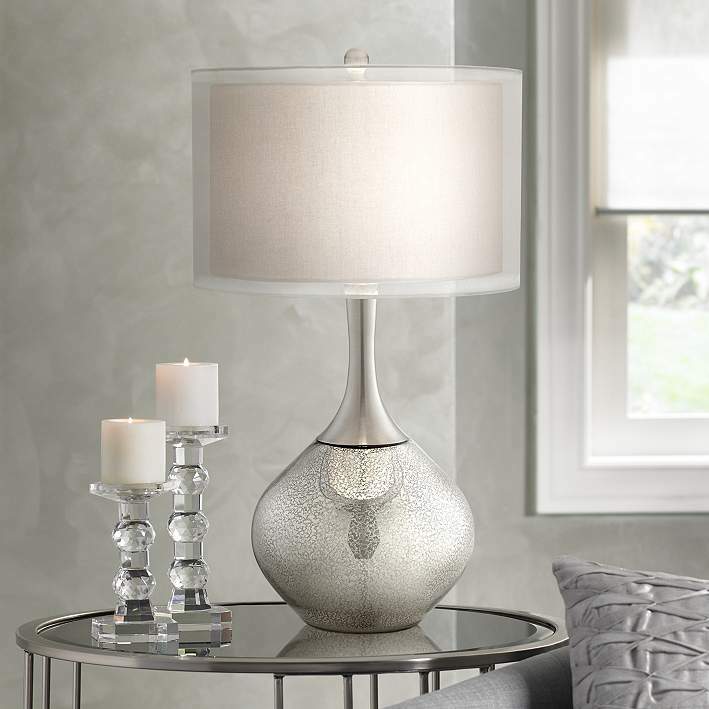 Add a stunning focal point to a living room or bedroom with this mercury glass table lamp topped with a double layered lamp shade. 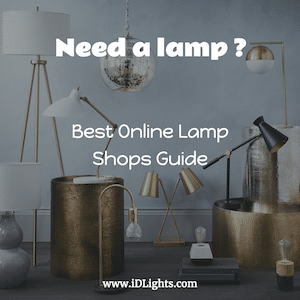 Sleek and contemporary table lamp style in glass and metal construction. The mercury glass detail in the base creates a lovely effect. Paired with a layered drum lamp shade for added dimension and visual intrigue to complete the look. By Possini Euro Design. Double layered drum lamp shade. Shade is 17″ across the top, 17″ across the bottom, 11″ on the slant. Inner shade is 15″ across the top and bottom, 9 5/8″ high.